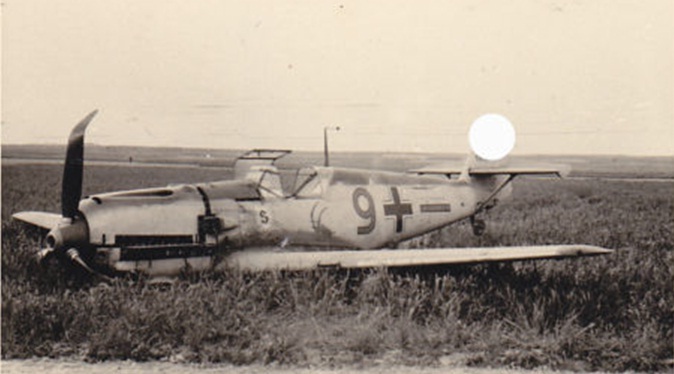 Me 109 E with the so-called 'Gamsbockwappen' or mountain goat (ram) emblem of 6./JG 26 "Yellow 9" Werknummer 1937. 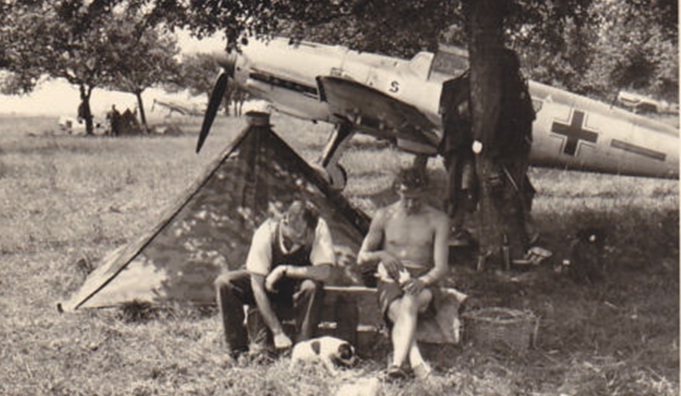 This machine was brought down on 1.6.1940 by a Morane Ms 406 and belly landed near Lille. 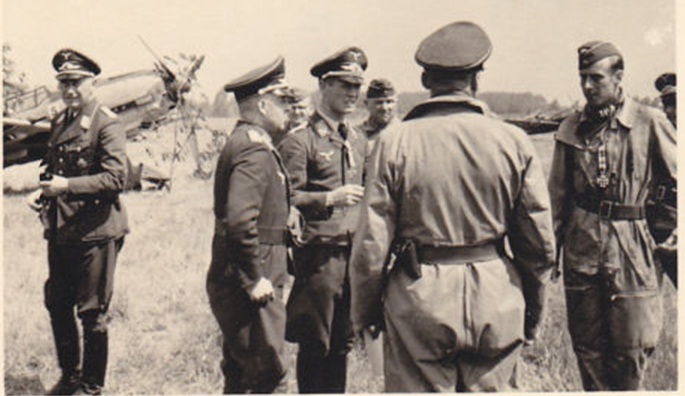 According to Meyer, the pilot on this sortie was Uffz. 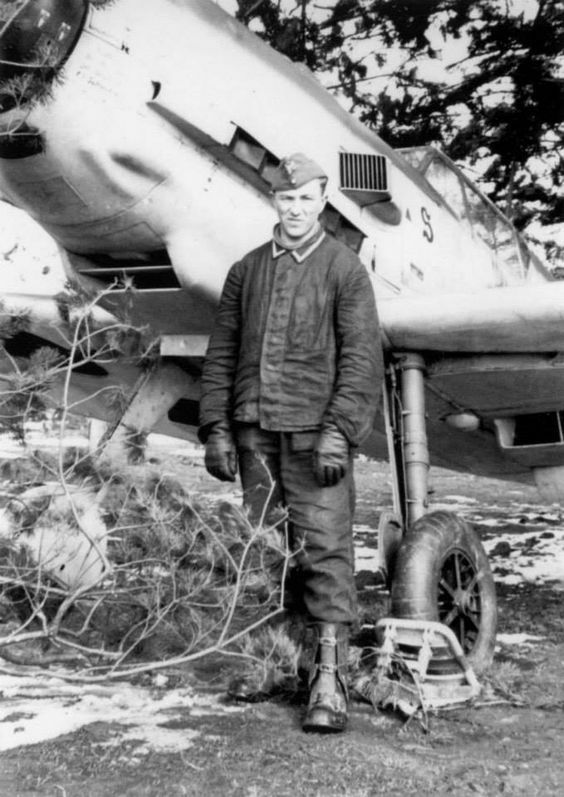 Artur Beese who spent a brief period in French captivity. He was KIA on 6.2.1944 with some 22 victories. 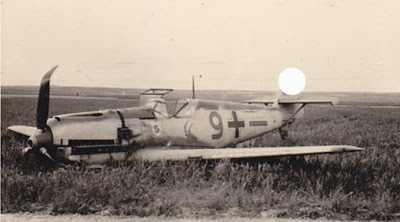 Me 109 E "gelbe 7" of 6./JG 26 during the campaign in France, June 1940. 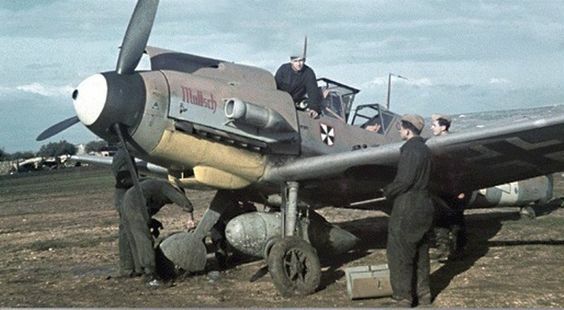 According to Meyer's caption this is the Me 109 E flown by the Staffelkapitän of 6./JG 26 Oblt. 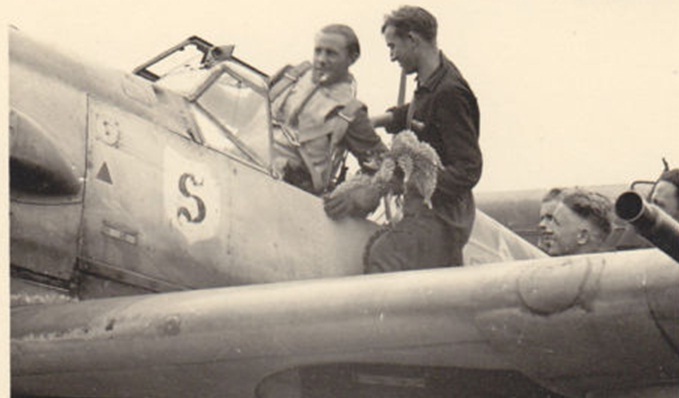 Alfred Pomaska following a combat sortie -Feindflug during which he achieved his only victory on 1 May 1940, a MS 406. He was KIA near Cambrai on 1 June 1940. However the image appears to show Fw. Ernst Nischik in his regular aircraft "Yellow 5" which can just be identified here. EK-Verleihung - award of the EK to a 6./JG 26 pilot during May 1940. Identified are Lt. Kurt Ebersberger (3rd from left ), 27 Luftsiege KIA on 24.10.1943, the Staffelkapitän of 6./JG 26 Oblt. Alfred Pomaska (back to the camera) 1 Luftsieg KIA on 1.6.1940, Lt. Otto-Heinrich Hilleke (right) 6 Luftsiege KIA on 26.6.1940 and left Hptm. Fromme. One of the Staffel's Emils in the background.